Indian industry is likely to get some relief in the Budget with the Finance Minister P. Chidambaram today saying that the government would simplify the much-criticised Fringe Benefit Tax, while adding that there would be no need to impose any new tax, provided loop holes in tax administration are plugged. Is the government right in putting on hold the decision to cut subsidy in PDS? Expressing fears about security, the Union Ministry of Home Affairs has put a spoke in the wheel of the yet-to-begin Amritsar-Lahore-Nankana Sahib bus service by equating Punjab with Kashmir. The Home Ministry has made it mandatory for passengers travelling by this bus between India and Pakistan to get security clearance from the Punjab Police. Infosys today said it was "getting hurt" by delay in grant of Special Economic Zone status to the the Chandigarh Technology Park, where it has established its facility. The Centre’s move to invite People’s Conference leader Sajjad Lone for talks as part of its efforts to widen the dialogue process on the vexed Kashmir problem is likely to cause a rethink among the moderate Hurriyat Conference led by Mirwaiz Umar Farooq about its future stance. Back from a tour of Pakistan, the moderate faction of the separatist Hurriyat Conference today demanded the abolition of the Line of Control between the divided Kashmir and warned that the dialogue process to solve the Kashmir issue would derail if its pace was not accelerated. We feel there is no need for the Line of Control dividing Kashmir between India and Pakistan and free movement of people of Jammu and Kashmir across the border should be ensured. 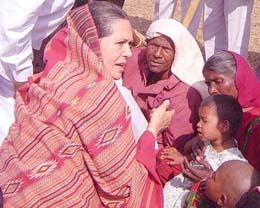 Congress President Sonia Gandhi today expressed grief and anguish over the killing of 12 tribesmen in a police firing here on January 2 and assured that justice would be provided to them. 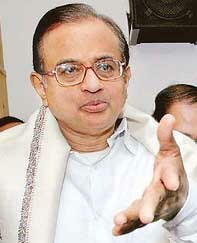 The central trade unions today decided to jointly launch nationwide protests against the notification of 8.5 per cent EPF interest rate for 2005-06, and raising the issue with Finance Minister P. Chidambaram here tomorrow. Editor-in-Chief of The Tribune Group of Publications.